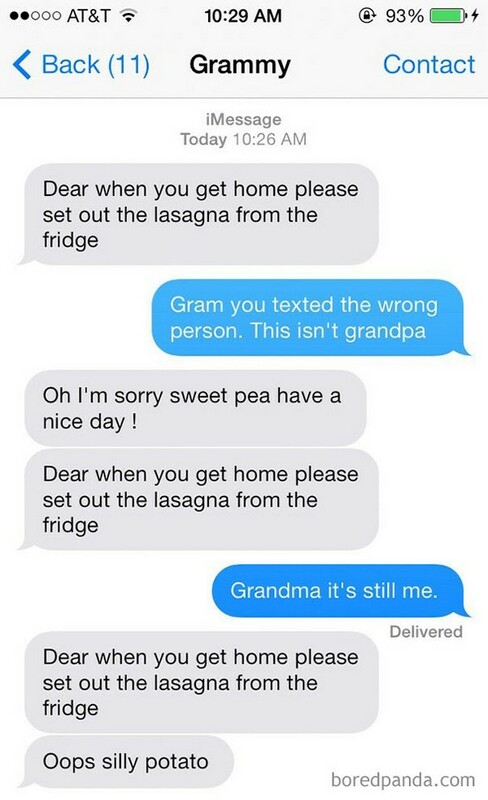 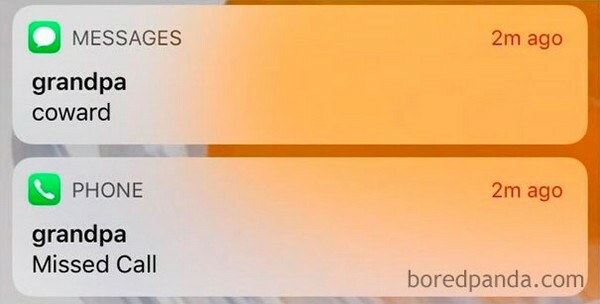 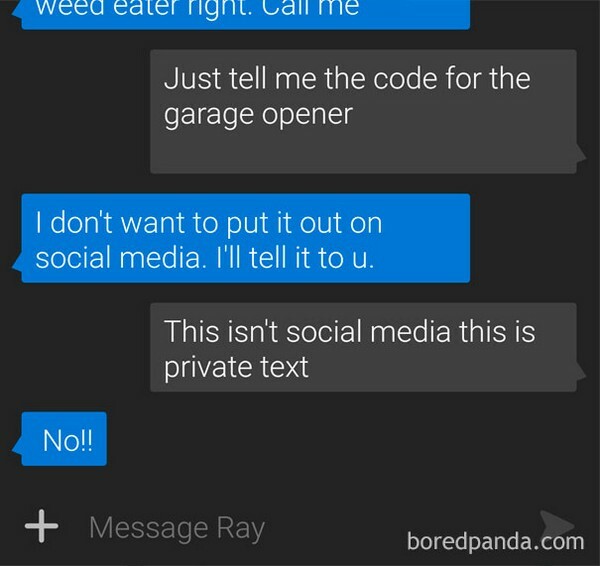 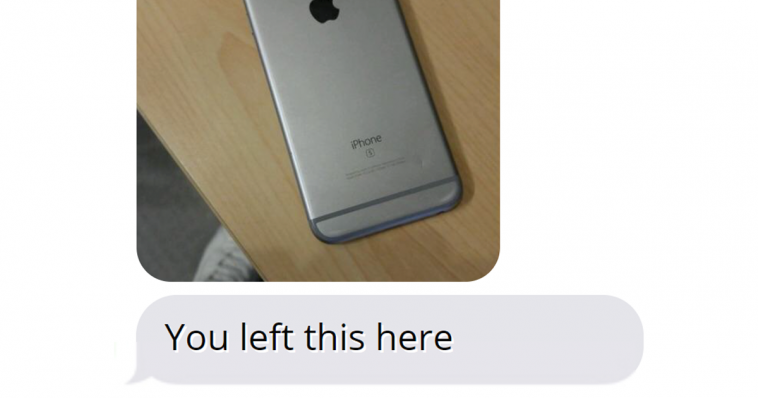 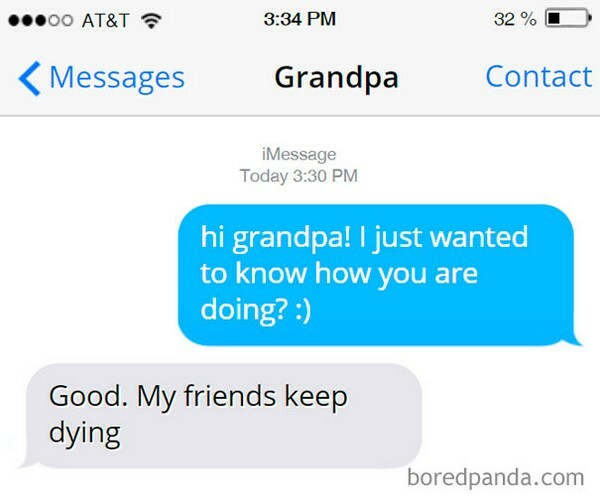 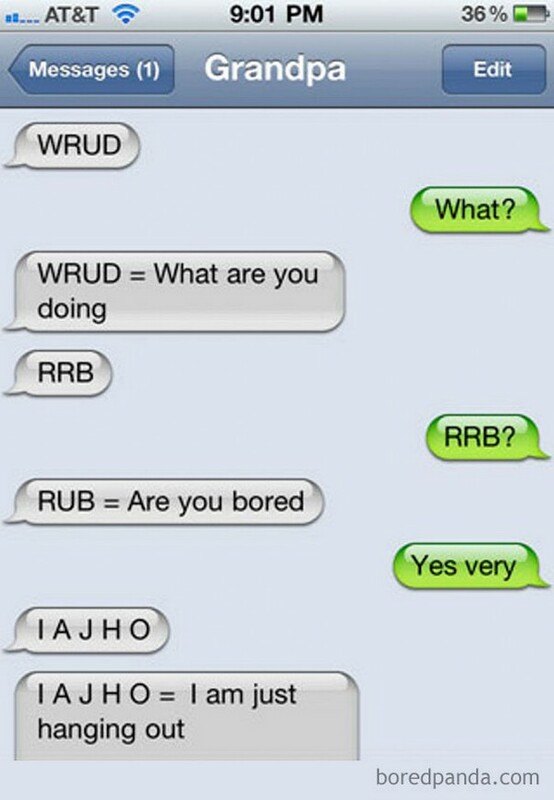 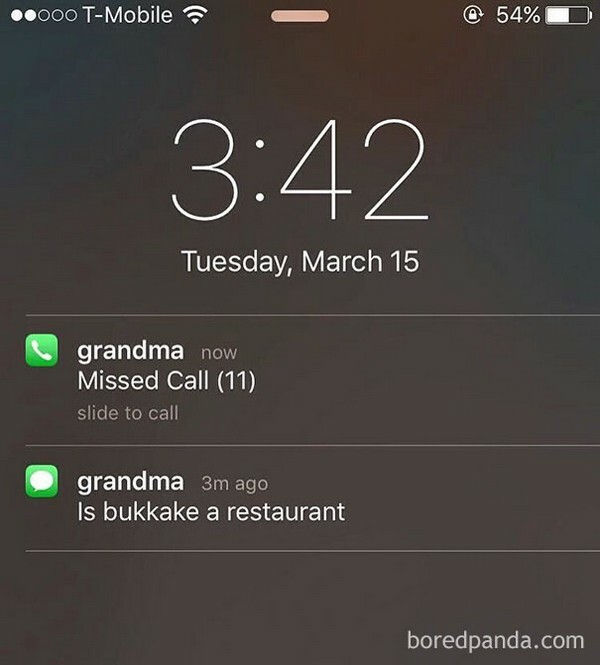 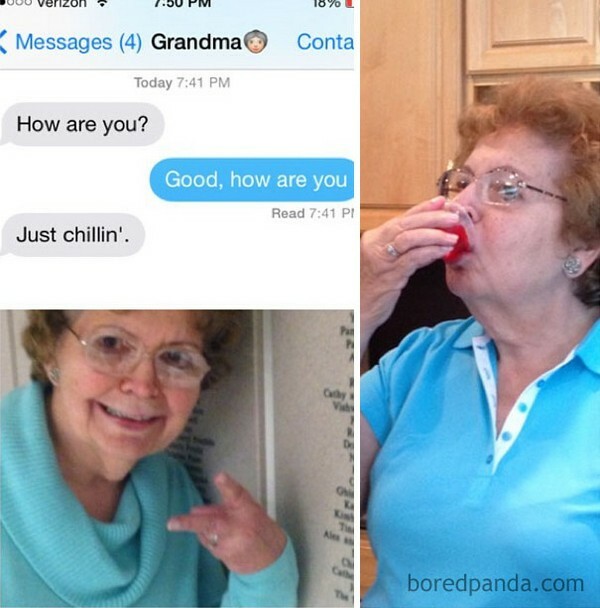 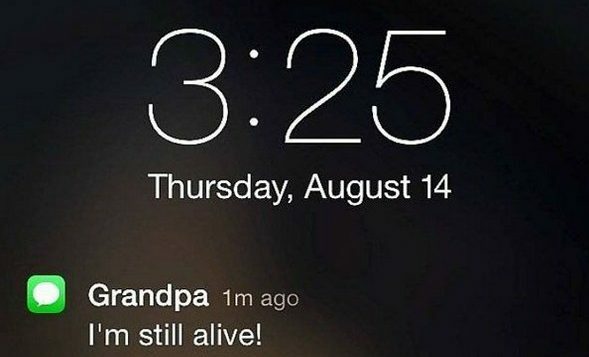 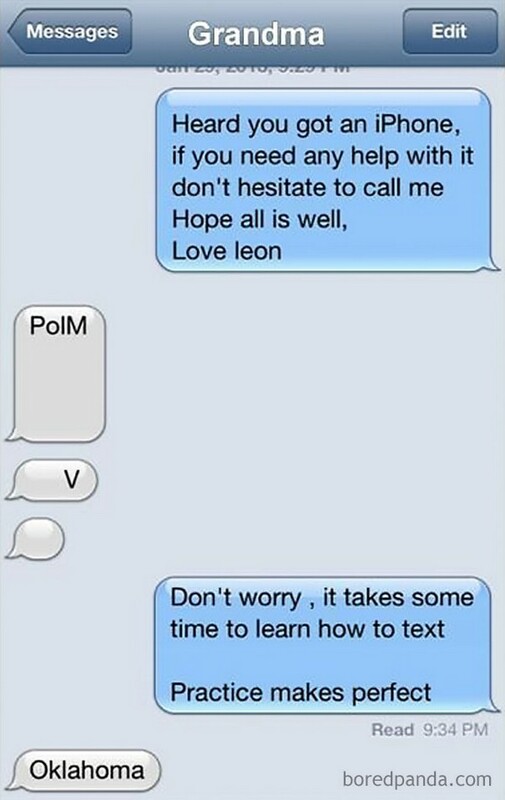 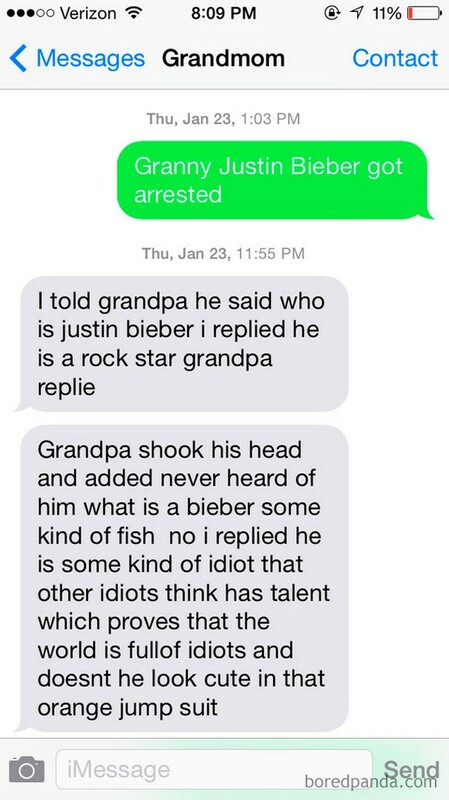 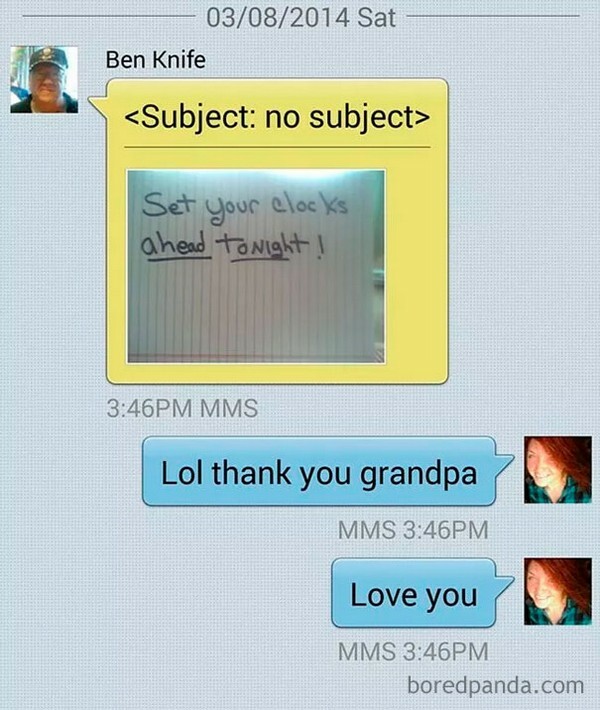 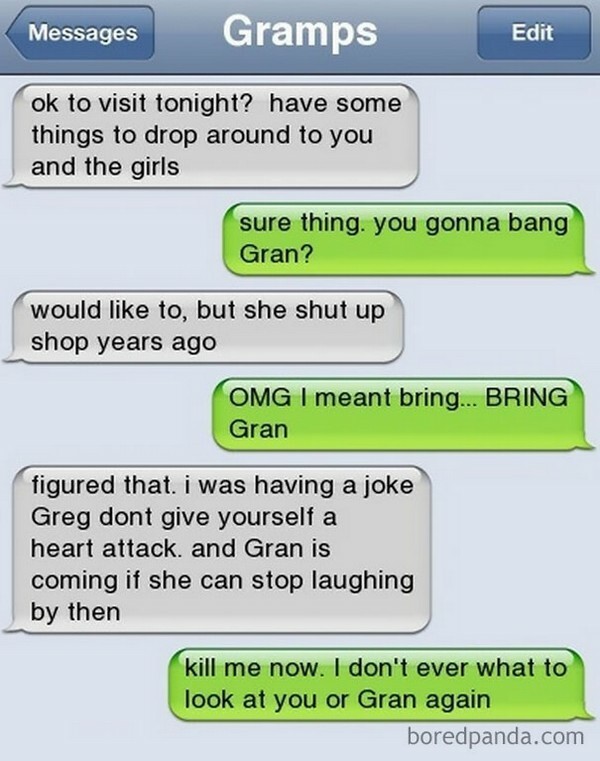 Grandparents send hilarious texts pretty often, but not because they’re trying to. 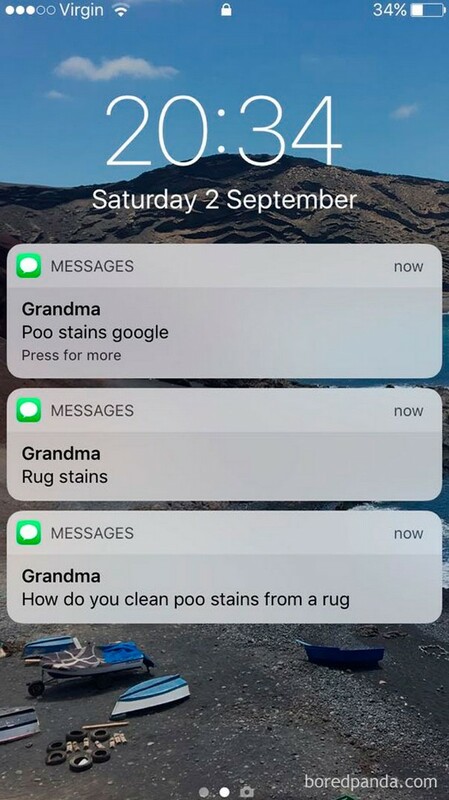 They just happen to be naturals at it. 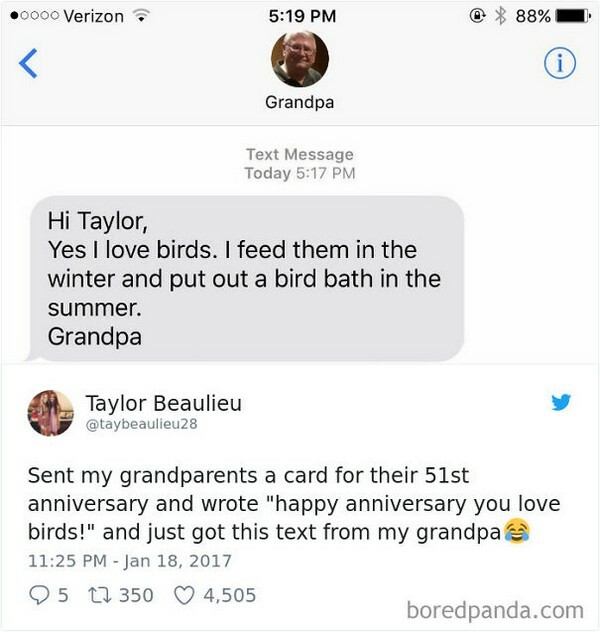 Maybe it’s the kind of wisdom you get from decades of life. 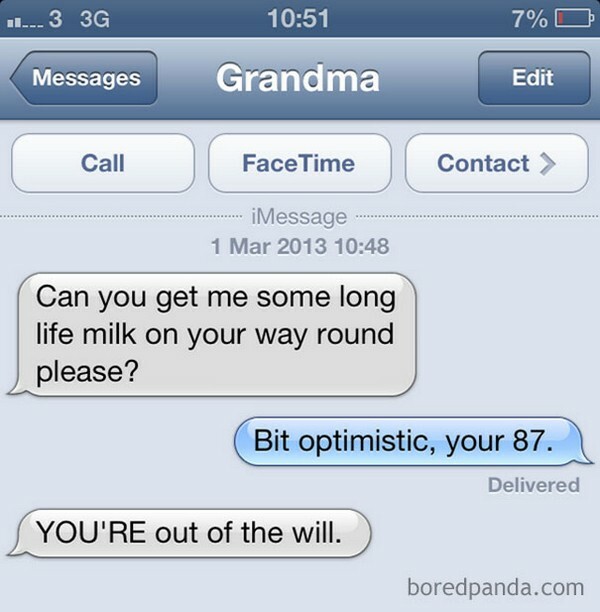 Next time you see an old person, you should salute them. 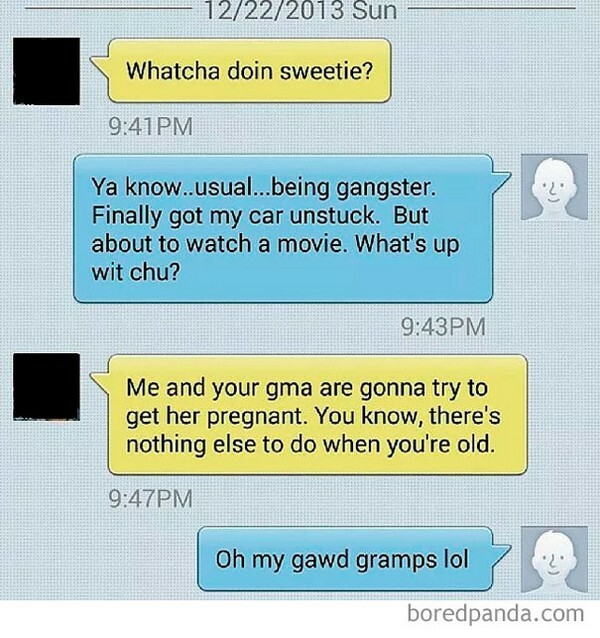 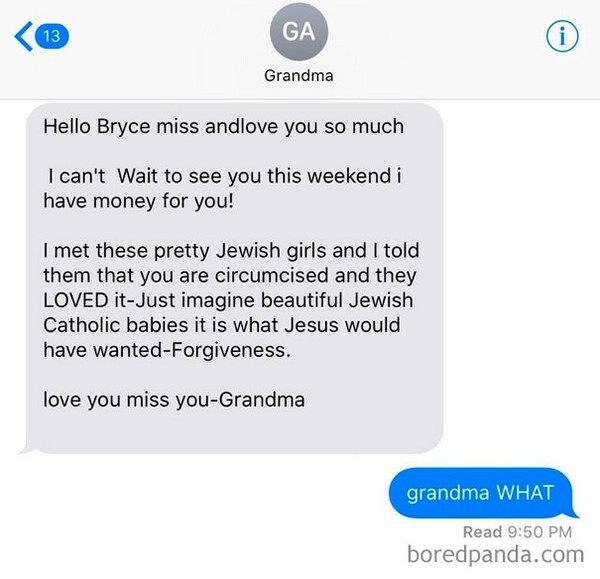 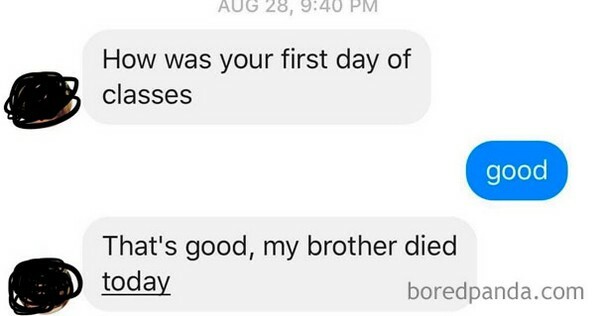 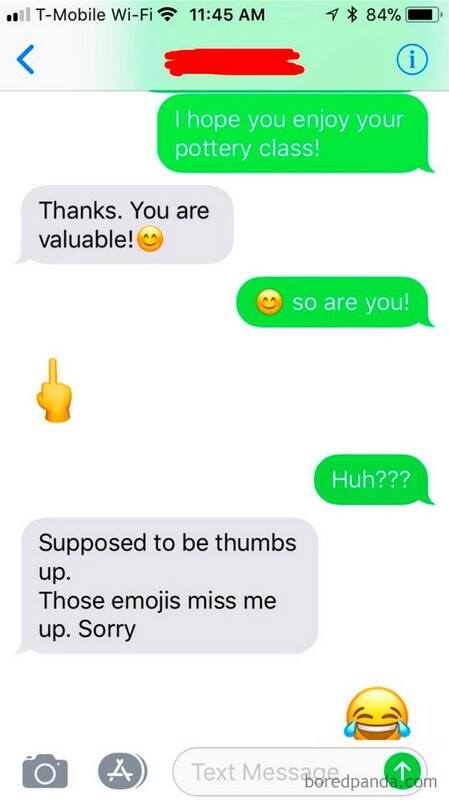 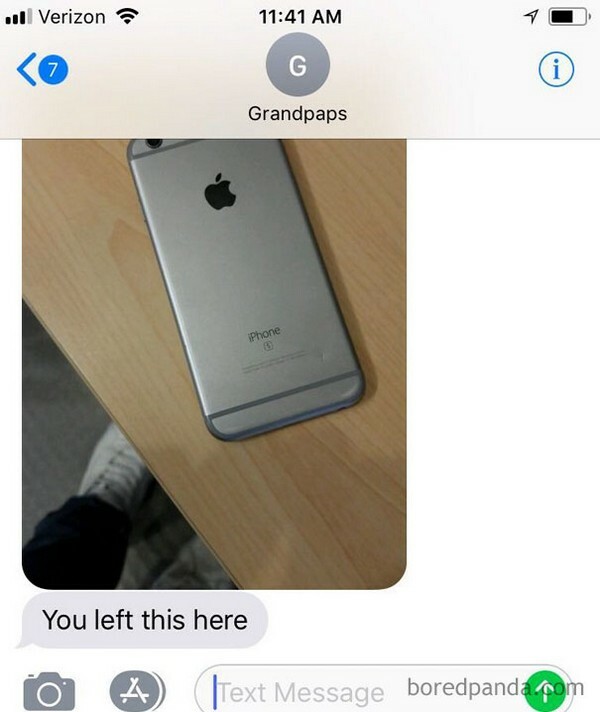 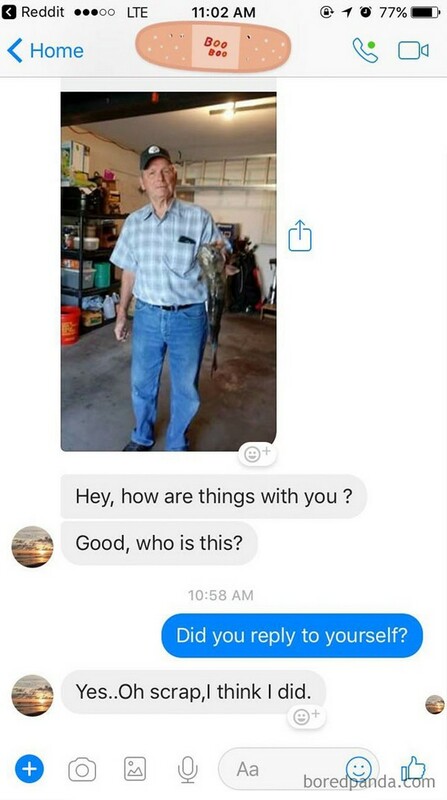 Odds are they’ve sent a couple hilarious texts to their grand kids.